I'm so excited even just writing the start of this post! 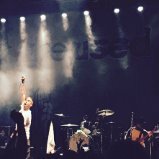 As part of their 15th anniversary tour, THE USED selected London and Leeds for the two UK cities on the tour and I couldn't have been happier. 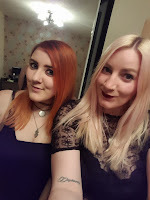 This is a slightly longer post as I'm collating both nights into one! The first of the two nights was celebrating the self-titled album which was originally released way back in 2002 - a point in which I was still in primary school at the very young age of 9 years old. I only really started listening to these guys when I was around 14 (my cousin introduced me to them which I am eternally grateful for!) and they have stuck ever since. 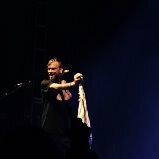 Opening with 'Maybe Memories' the crowd erupted at the sight of Bert Mccracken and instantly the floor became a mixture of people in sweaty pits while the rest of us bounced and danced away. 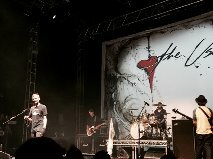 The opening track soon turned into one of their more well known songs, 'The Taste Of Ink' where Bert was telling everyone to just enjoy themselves and feel like a kid again which then led to a chorus of fans singing along to every single word of the track. "Be yourself just for you, whatever you want to happen, should and can happen"
My absolute favourite night out of the two and my favourite album performed in full. Literally in heaven. Released in 2004 I still wasn't at the age where I was listening to this album on it's first release but I've certainly made up for it in the time I have been listening to these guys. Particularly off this album my favourite tracks at 'I Caught Fire', 'All That I've Got' and 'Listening' which were all executed in a bouncing, sweaty fashion! Something else happened this night too - there was a marriage proposal on stage! Now I'm a sucker for anything romantic anyway but this just sent tears streaming down my face. Getting down on one knee in front of a crowd and your favourite band must take some balls but I admire it and it is certainly relationship goals (future husband, please take note!). The final track of the night and the weekend was 'I'm A Fake' which began with Bert asking the crowd how well they knew the poem before he's even announced the track, he wanted it word for word and that's what he got from the crowd before him. With everyone revising the poem back to the band without any instrumental assistance, the smile on Bert and the rest of the band member's faces said it all. By the last few lines, the sound of the band started to pick up before they went fully into the track and my goodness, it was all levels of amazing being part of the crowd that was singing and dancing away as much as everyone was. This was certainly a fun gig to be part of! Both nights were just completely and utterly incredible and if I could go back to the moment when 'I'm A Fake' was performed I most certainly would. 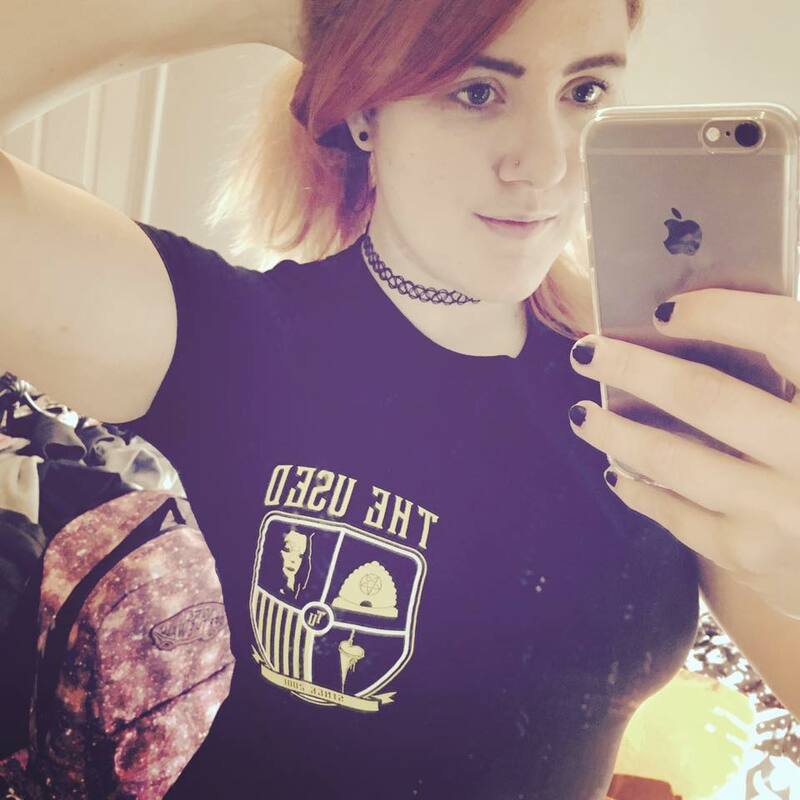 The merch was pretty sweet too - check out my new t-shirt! Now, speaking on both nights the band made it clear that this was not the end of the line for them. They talked a lot about more touring and more importantly...new music! It's not clear when this will be but at least we know they're going to be continuing in the music scene!